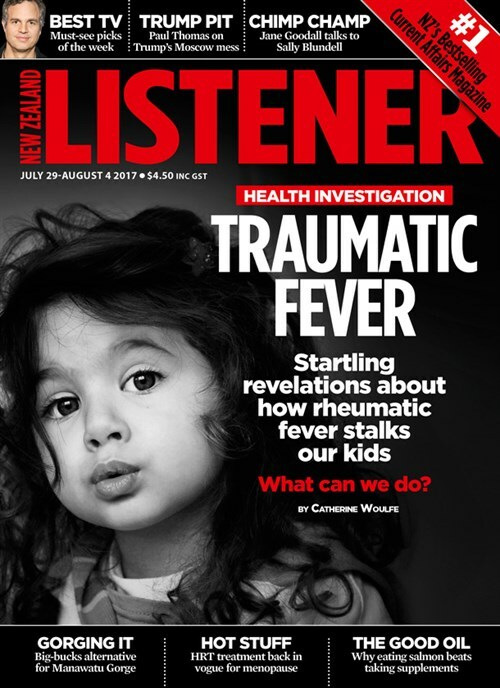 Rheumatic fever research by MWC Associate Investigator Dr Nikki Moreland is a major talking point in a recent cover story by New Zealand Listener (Jul 29 to Aug 4, 2017 issue). Dr Moreland, in collaboration with Dr Lance O’Sullivan, Navilluso Medical, Kaitaia, and their co-authors reported a case of a Northland boy diagnosed with rheumatic fever in 2015. The boy, whose sore throat tested negative for strep A, was instead found to have a strep A-positive skin infection and strep G in his throat prior to his diagnosis for rheumatic fever. The Listener article also pointed to other work by Dr Moreland, Dr Debbie Williamson and their collaborators – two studies showing a high prevalence of strep-A-strains normally associated with skin infections circulating in high risk areas for rheumatic fever in New Zealand. "Acute Rheumatic Fever After Group A Streptococcus Pyoderma and Group G Streptococcus Pharyngitis" L. O’Sullivan, N. J. Moreland, Rachel H. Webb, Arlo Upton, Nigel J. Wilson, Pediatric Infectious Disease Journal, 2017, 36 (7): 692-694.